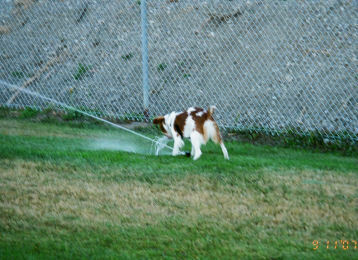 Having fun with the sprinkler! Monty having fun in the snow! !